You no longer have to be embarrassed to order rosé. 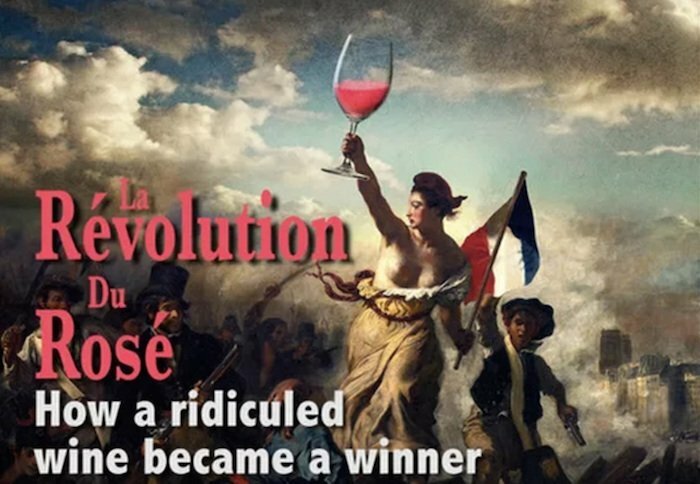 Once considered little more than an alcoholic version of soda pop, rosé has become widely popular and is now earning plaudits from wine critics: “More rosé is now sold in France than white wine, and rosé imports to the United States are increasing 50 percent a year. A third of all the wine drunk in France is rosé and it is appearing on the wine lists of fashionable restaurants around the world,” notes wine Stephen Quinn. Kobré, who is on the faculty of San Francisco State University, is author of the influential textbook Photojournalism: The Professionals' Approach. He also made the documentary Deadline Every Second: On Assignment with 12 Associated Press Photojournalists. (Go here for Kobré's guide to the web's best video journalism.) He came to do the documentary after making a simple observation of the world around him: Kobré has a summer home in Province, surrounded the vineyards. “I traveled around Provence to find out why the entire French population, devoted to its traditions and cultural heritage, has now elevated the once spurned rosé to the status of its beloved white and red wines,” he writes. He decided to make a short video to help with the development of an iPhone app he created, VideoPro Camera. From there, the project took on a wider scope. Kobré ended up shooting not only in France, but also Italy, the United States and South Africa to tell the story of rosé. "My memory of rosé is that it had a terrible reputation. It was the wine for those who liked their beverage overly sweet, like an alcoholic version of Coke or Pepsi. All the wine experts made fun of rosé. Those in the know, like professional sommeliers, thought it was only for debutantes or amateurs. It was not for serious wine lovers. But all that had changed, seemingly overnight. So I tried to figure out what had happened so suddenly. "I wondered if the color of the wine, from pale pink to dark peach, caused people to taste the wine differently. I explored if the price of the wine could affect a drinker's pleasure, and what significance a medal really meant on a bottle of wine — and how it influenced sales. No matter how well you think you know wine, I think the answers will amaze you. "The entire documentary was shot using an Apple iPhone, plus my app VideoPro Camera. The VideoPro Camera app allows the iPhone user to record video while simultaneously monitoring audio with headphones. I also worked with several different types of external wireless, wired and shotgun mics when I was recording both video and audio."